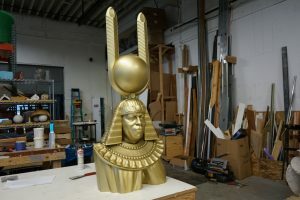 Don’t miss your opportunity to check out this amazing show: MONUMENTS – The Earth Expedition of Sun Ra at the Portland Art Museum. 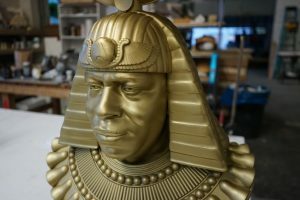 The show – which Form had the opportunity to contribute this 3d printed bust of the legendary jazz composer Sun Ra to – is up until January 27th. Put on by art director Libby Werbel and the local group DUG (Deep Under Ground), this show asks us: in this era, what new monuments do we wish to build? In addition to the art, the Sun Ra Arkestra will also be performing at the museum’s Kridel Grand Ballroom on January 2nd, 2019. Not to be missed! We are humbled to have been able to be a part of this amazing Project.